Hot-Dog Man 2.5ft (JR 1202) / p.o.s. 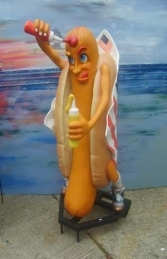 This 2.5ft Hot-Dog Man is a real character; placed on a counter-top, in a window or outside your shop he is sure to draw attention, and customers!, to your fast food outlet. This smaller version of our popular 6ft Hot-Dog Man (JR 1145) is ideal if you have limited space.. 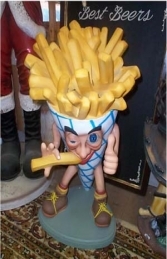 He looks great on a counter-top or shelf indoors or can be placed outside to draw people to your fast-food business.